Social Media Breakfast Door County launches its second year of off-season training and informational gatherings with noted author and LinkedIn expert, Wayne Breitbarth at Glas Coffeehouse in Sturgeon Bay on Friday, September 30 from 9 – 10:30 am. Wayne Breitbarth has instructed more than 10,000 business people on how to effectively use LinkedIn, the professional networking site, since he began moonlighting as a trainer in early 2009. A business leader himself, Wayne Breitbarth is an owner of M&M Office Interiors in Pewaukee, Wisconsin. Prior to his involvement in the office furniture business, he spent nearly twenty years in the automotive industry. Wayne is also the founder of Urban Promise, a youth mentoring program that brings together business professionals and high school students in Milwaukee Public Schools. Wayne is continually asked to speak at Executive Agenda (EA), YPO and TEC meetings as well as CEO Roundtables, where his thirty years of experience as a business owner and manager enables him to help his peers understand how social media can benefit their companies. On Friday, September 30 from 9 – 10:30 am the Social Media Breakfast Door County (SMBDC) group will feature Breitbarth, revealing his Power Formula for LinkedIn success and a few of his advanced LinkedIn techniques and strategies in Sturgeon Bay at Glas, the Green Coffeehouse. His diverse business experience also allows him to share real-life stories and illustrations as he educates, motivates and entertains audiences across the country. There is no charge to attend. 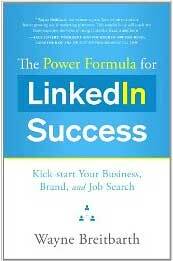 Wayne has compiled his tactics in a new book, “The Power Formula for LinkedIn Success: Kick-Start Your Business, Brand, and Job Search” (March 2011, Greenleaf Book Group). His book is a simple, user-friendly guide aimed at the experienced business professional who is either skeptical about LinkedIn or looking for ways to more effectively use this cutting-edge tool. Check out his book for yourself by downloading a free chapter at: www.powerformula.net. He will have copies available at Glas for purchase and signing. 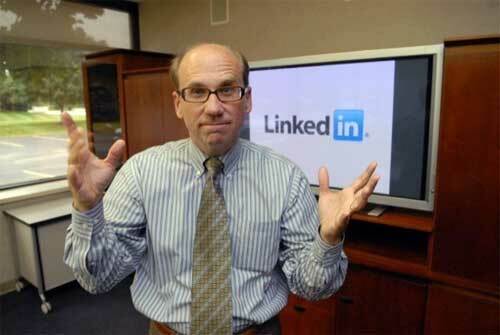 “The combination of Wayne Breitbarth’s passion for the power of social networking and his real-world business experience, deep knowledge, mastery of LinkedIn and his skill as a trainer make the ‘The Power Formula for LinkedIn Success’ a real standout.” – Frank Martinelli, President of the Center for Public Skills Training. You can email SMBDC founder, stephen.kastner@smbdc.com or call 920.256.9449 with questions on SMBDC’s monthly meetups taking place at various, random locations all around Door County. More information is available online at SMBDC.com and at www.facebook.com/SMBDC.